We understand that having a baby is exciting, daunting and challenging. After making your course selection, complete an online booking form. Our current list of antenatal courses. Do contact us if you have questions. Hundreds of expectant parents join us each year on our award winning antenatal courses. We bring together local pregnant women and their birth partners, creating supportive communities of like-minded parents-to-be whose babies are due around the same time. Our private antenatal classes are designed to complement the education and support that midwives and health visitors provide in the six-eight hours allocated by the NHS. We know some couples are keen to extend their knowledge along their pathway to parenting and would prefer smaller groups which offer an opportunity to ask questions and discuss birth and baby topics in more detail. Small groups also promote long-term friendships for support. All our teachers are specially trained by the NCT, fully qualified and licensed to practice so you can be assured of our credibility, knowledge and experience. Our 12-16 hour antenatal courses include traditional core topics but are run with a more modern approach. We listened to feedback from dozens of new parents and created an antenatal course that is comprehensive, interactive, unbiased, supportive, sociable and fun! All our teachers are well-loved, live locally and have knowledge about the local maternity service. Being a small independent business means we can offer full courses at incredibly competitive prices and payment by instalments. Crucially we receive excellent feedback and our courses are 5* rated in independent reviews. In addition, we won ‘Best Pregnancy Class’ in the 2018 Norfolk Pregnancy, Baby & Child Awards. Please take a look at our course dates to find a full antenatal course at a location that suits you. We also offer one-to-one sessions for those who prefer not to be part of a group or whose lifestyles mean they would find it difficult to attend all the sessions on a full antenatal course. Having another baby and looking to refresh your knowledge? Refresher courses cover preparation for birth and parenthood while recognising the challenges you may have faced previously. They also consider the impact of introducing a new baby to your family. Our course dates can be found here. We would love to support you along your pathway to parenthood. See what parents are saying about us. We think you’ll be convinced! Sign up for a free class and celebrate your pregnancy with others at a similar stage to you. Comprehensive course covering all aspects of pregnancy, birth, and early parenthood. For those who would prefer not to be in a group or where lifestyles mean it would be difficult to attend a course. Refresh your knowledge, recognise the challenges you may have faced previously and consider the impact of introducing a new baby to the family. We set up About Birth & Babies in 2014 in response to increased local demand for private antenatal classes with fully qualified and experienced teachers. 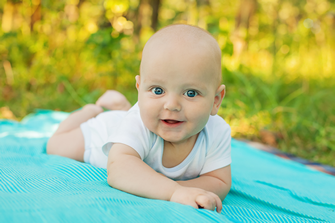 We are a group of NCT trained teachers who offer childbirth preparation classes in Norwich and the surrounding areas as well as Bungay. We have many years of experience in facilitating antenatal classes where we identify and discuss the things that are important to the women and their birth partners. As independent teachers we are able to offer flexibility in terms of course dates, times and venues, work closely with other local birth and baby professionals and discuss topics on our courses that reflects modern parenting. Everyone involved in About Birth & Babies lives locally; we all have children of our own and established relationships with midwives and other health professionals in the area. This, together with an excellent knowledge of the local maternity services ensures our knowledge is up to date and in line with local practice. One of us is also a midwife, one a breastfeeding peer supporter. If you would like to find out a little bit more about us, please read our personal profiles. Our next free Early Pregnancy Class for couples scheduled to take place on Thursday 25th April is now fully booked. Spaces are available on the following course Thursday 23rd May 19:30 - 21:30 at Rowan House Centre, Hethersett. contact us to book. 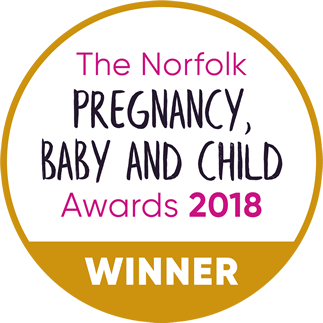 We are delighted that local parents recently voted for our antenatal classes in the ‘Best Pregnancy Class’ category of the 2018 Norfolk Pregnancy, Baby & Child Awards. We made it through to the final and an independent panel pronounced us the winners at the awards dinner in December! Proud to be part of Pregnancy & Parenthood - Norfolk’s team of leading birth educators and postnatal/baby specialists. Continuing to provide our individual first class care, in working together our aim is to help prepare you fully for one of the most exciting journeys you will ever take.